As exciting as the coming era of electric cars is, with its promise of swift, silent, emissions-free transportation for all, the truth is that trucks are some of the biggest polluters on the road. According to the US Department of Transportation, nearly 50% of all emissions from the transportation sector are attributable to light-, medium-, and heavy-duty trucks. So where are all the electric trucks? When will you be able to buy an electric truck? What’s going on in the electric truck startup world? For the purposes of this discussion, we will look at four categories of electric trucks — light-duty electric pickup trucks, light-duty closed electric delivery trucks & vans, long-distance heavy-duty electric freight trucks, and medium- & heavy-duty electric urban trucks. America loves light-duty trucks like the Ford F-150, Chevrolet Silverado 1500, and Dodge Ram 1500. Sales of these vehicles are booming and manufacturers are scrambling to increase production to meet the demand. Chrysler is shutting down production of its Dodge Dart compact car and Chrysler 200 midsize sedan due to declining sales and focusing instead on making more Ram pickups and Jeep SUVs. Why are there no electric trucks in the mix? Basically, the answer is that pickup trucks have a split personality. Most of the time they are used as the family daily driver. They go back and forth to work or take the kids to school. They are a passenger car with a load bed attached. But the beauty of a pickup truck is that it’s always happy to tow the boat to that cabin in the mountains or haul a camping trailer over vacation. Lots of people also use pickup trucks in their trade or business. They haul rocks, gravel, building materials, and horse trailers. While electric motors have instant torque and are excellent at hauling heavy loads, a battery large enough to power a large vehicle loaded with cargo or towing a heavy trailer more than a few miles would have two huge disadvantages. First, it would have to be enormous. Second, such a large battery would make a truck far too expensive for most customers. Some companies have toyed with the idea of a hybrid pickup truck. Ford and Toyota flirted with this idea for several years before Ford left Toyota standing at the altar like a jilted bride. General Motors says it is offering a hybrid Silverado in selected markets but the extra cost has kept sales from taking off. Dodge has shown no interest in electric trucks at all, preferring to meet tougher mileage rules with diesel engines. Perennial industry gadfly Bob Lutz has been promising for years that VIA Motors would bring extended-range plug-in hybrid pickup trucks to market soon. The trucks would basically be Chevrolet Silverados fitted with a VIA-designed plug-in hybrid powertrain. News about VIA Motors has been conspicuously absent of late, however. The only bright spot on the horizon for those hoping to drive a plug-in hybrid pickup truck comes from Workhorse. 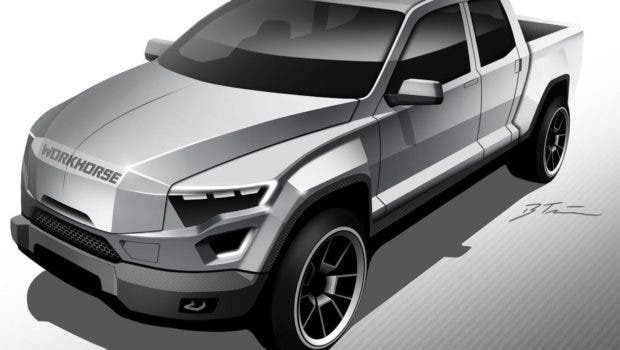 Based in Indiana, the company says it will bring a 5 passenger, 4 door extended-range electric pickup truck with 80 miles of range to market in 2018. Dubbed the W-15 (indicating is should have a carrying capacity of 750 pounds), the truck will have dual motors for all-wheel drive capability and a 60 kWh battery. No pricing details have been revealed. The most unique feature of the W-15 is that it will have an onboard range extender gas engine — the same 647 cc two cylinder unit used by BMW in the range-extended versions of its i3 electric sedan. 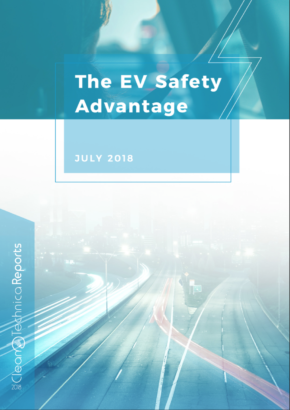 While purists may sputter that adding a gasoline engine goes against the whole purpose of making an electric vehicle, eliminating range anxiety is a crucial consideration for those thinking of laying down their hard-earned money for an electric vehicle. To sweeten the deal, Workhouse says its plug-in hybrid electric pickup will reduce fuel costs by 40% and routine maintenance expenditures by 60%. Those are the sort of numbers that gladden the heart of fleet managers. 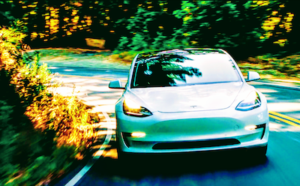 Tesla’s Elon Musk has said from time to time that an electric pickup truck from Tesla is on his radar screen, but with the introduction of the Model 3 midsize affordable car expected in about a year and a Model Y CUV supposed to be after that, it may be a while before Tesla is able to turn its attention in that direction. When we think of trucks, we tend to overlook the hundreds of thousands of delivery trucks that scurry about every day delivering the millions of items that make daily life enjoyable. Whether it is delivery vans for flowers, packages, and mail or a work van that tradespeople like plumbers, electricians, and carpenters depend on, they are largely invisible to us. But why shouldn’t these vehicles be able to drive with fewer emissions while saving fuel and maintenance costs? DHL’s bold gambit has struck a nerve. “They have opened up a new segment, one which the conventional carmakers have not discovered because they are too hamstrung by their own processes,” said Christoph Stuermer of PricewaterhouseCoopers. Volkswagen’s chief executive Matthias Mueller sulked: “I am annoyed beyond measure. I, of course, ask myself why Post did not talk to our VW Commercial vehicles division about doing something similar.” But apparently, Deutsche Post did talk to Volkswagen, among others, and was told to take a hike. The market for electric delivery vans — with or without hybrid power — could be huge. Instead of fleets of trucks crisscrossing our cities spewing out exhaust emissions, urban skies could be forever less polluted, which would benefit everyone. As noted above, Workhorse Group has reportedly been contracted to produce 180,000 extended-range electric vans for the US Postal Service (USPS). There have been other startups in this space as well, but not many have lasted. Slovakia-based Voltia, though, recently modified a Nissan e-NV200 electric van to make it a bit bigger and more useful. It is selling this under the name Voltia Maxi. That’s it. No details, no specs, and no prices. Most people assume that the Semi will be a pure battery-electric vehicle with no range extender (engine) of any kind. 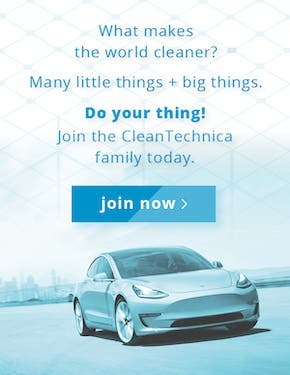 It would be a betrayal of Tesla’s core values to use an internal combustion engine, wouldn’t it? That has led some to speculate that some kind of battery swapping system would need to be used. Federal regulations limit the number of hours a truck driver can spend behind the wheel before taking a break for food and rest. Perhaps that downtime could be put to good use by swapping out a depleted battery and swapping in a new one? Or maybe Tesla will have come up with new quick-charging technology by then. A battery large enough to move a tractor trailer 400 miles or more would need to be 500 kWh in size or larger. Such an enormous battery would take hours to recharge in the absence of such a breakthrough. Another company says it is hard at work on an extended-range electric tractor-trailer. Nikola Motors says its truck will have 2,000 horsepower, 3700 lb-ft of torque, a 325 kWh battery, 6 wheel drive with torque vectoring and a range of 1,200 thanks to an onboard natural gas—powered generator. Impressive stuff, if true. Not quite the pure electric vehicle Tesla probably has in mind, but far better than diesel emissions spewing from the exhaust stacks of all those 18-wheelers out there. That is all very interesting but will it ever actually build this electric hybrid tractor? “We’ll see,” said the Zen master. Ian Wright was one of the early members of the Tesla Motors founding team. He and Elon Musk had different ideas about how to move the electric car revolution forward. Each thought the other was looking at things through the wrong end of the telescope. 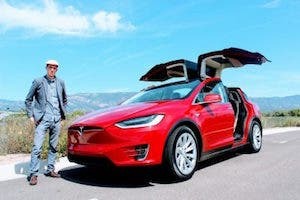 Elon wanted to build a large all-electric premium sedan that would appeal to people who influence the opinions of others. Musk’s approach is logical and it has been spectacularly successful. On the other hand, Wright believed that reducing the emissions of heavy diesel trucks that start and stop hundreds of times a day was more important. So he cashed in his Tesla stock and set off on his own to make heavy-duty plug-in electric urban trucks that would slash diesel emissions in urban communities. Wright had good reason to go in that direction. Such trucks account for about 8% of all diesel emissions even though they are just a small percentage of the overall truck fleet. Ian started his own company which he calls Wrightspeed. Together with a team of talented engineers, he devised a heavy-duty truck that uses two electric motors that drive the rear wheels via a two speed gearbox. The instant torque provided by the motors is ideal for getting heavy trucks moving from rest and the motors can be switched to regeneration mode during deceleration to put some of that electrical energy back into the truck’s lithium-ion battery. 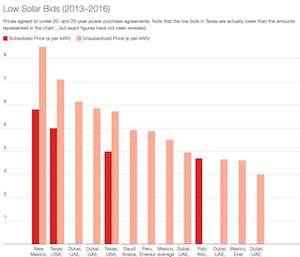 Note: Gas2’s Chris DeMorro and CleanTechnica’s Zach Shahan interviewed Ian last year about this business for an episode of Cleantech Talk. Wrightspeed seemed to be growing well, and Ian said that his vehicles were already more cost-competitive than conventional, polluting trucks. We’ve written about Wrightspeed a dozen other times here on Gas2. But the thing that really sets Wright’s trucks apart from anything else on the road is a two-stage gas turbine that is lighter and more efficient than any internal combustion engine. It can run on diesel, CNG, LNG, methane, biodiesel, kerosene, propane, heating oil, or any other combustible fuel. Because it only turns a generator and is not connected to the drive wheels, it can be set to spin at its most efficient speed — about 100,000 rpm. Wright says the turbine runs so cleanly it needs no catalytic converter to meet California’s strict emissions rules. The truck has a range of 30 miles on battery power alone. Wright estimates that the combination of lower fuel costs and reduced maintenance expenses can save a fleet operator a half million dollars per truck during its average 12-year useful life. Slashing emissions while saving money is a winning formula for both the environment and fleet operators. Wrightspeed currently offers the Route™ 250 powertrain for urban or suburban delivery; the Route™ 500 powertrain for city buses, beverage trucks, or other heavy delivery trucks making frequent stops; and the Route™ 1000 for refuse truck application (a product Wrightspeed wasn’t yet selling when we interviewed Ian last year). Wrightspeed earlier this year entered into an agreement with Mack Trucks to include its technology in Mack’s heavy-duty trucks. FedEx and others have been testing the company’s turbine hybrid powertrain for several years with positive results. It has recently moved to a larger facility and is ready to begin full production. Earlier this year, it signed a $30,000,000 deal with New Zealand’s NZ Bus to convert its diesel-powered coaches to Wrightspeed power. Diesel costs up to 3 times more on the island country than it does on the mainland. NZ Bus expects to recoup its investment in just a few years thanks to lower fuel and maintenance costs. Most of the news regarding electric vehicles today is about passenger cars, but the most important area to focus on if the objective is to lower vehicle emissions is trucks. Light-duty trucks represent almost as much of the market as passenger cars, so carbon emissions from those vehicles deserve at least as much attention as emissions from cars. But the real benefits for the environment will come from replacing the diesel engines in medium- and heavy-duty trucks with clean electric power. When it comes to passenger cars, the focus is on tax credits and other incentives to get people to buy. But when it comes to heavy trucks, it is just a case of economics. Diesel engine maintenance is expensive. Fuel costs can be low one year and high the next. Electric trucks protect fleet owners from variations in the cost of diesel fuel while slashing maintenance costs. The bottom line is that electric trucks are a sound business investment. 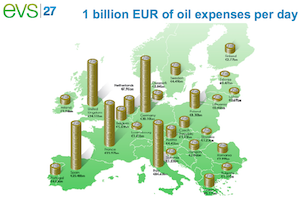 The fact that they also pay big dividends for the environment is just a nice bonus for all concerned. Companies that can bring electric trucks to market first will benefit. Those who are late to the party will suffer. If you have read this far, you will have noticed that the names of the big automakers are largely missing from the conversation. Just as with passenger cars, small innovative companies are ready to steal market share from the established industry leaders. By the time the big guys figure out what’s going on, it may be too late for them to profit from the coming electric truck revolution.